MINNEAPOLIS — Target Corp. posted decreased sales and earnings for its fiscal 2016 fourth quarter and year, impacted by the sale of its pharmacy and clinic business to CVS Health. Target said Tuesday that sales for the fourth quarter ended Jan. 28 fell 4.3% to $20.7 billion from $21.6 billion last year, reflecting a 1.5% decline in same-store sales, combined with the removal of pharmacy and clinic sales from 2016 results. Comparable digital channel sales grew 34% in the quarter and contributed 1.8 percentage points of comp-sales growth, the company said. Online sales accounted for 6.8% of total sales in the period, up from 5% a year earlier. Store traffic edged up just 0.2% in the fourth quarter, and gross margin was punished due to increased markdowns, despite an ambitious holiday strategy that included thousands of exclusive toys and an extended free shipping window. For the full year, Target’s sales totaled $69.5 billion, down 5.8% from $73.79 billion a year earlier. Same-store sales dipped 0.5% for 2016. Digital sales represented 4.4% of overall revenue for the year. Fourth-quarter earnings from continuing operations came in at $817 million, or $1.46 per diluted share (GAAP), compared with $1.43 billion, or $2.33 per diluted share, in the prior-year period. Adjusted earnings per share for the quarter were $1.45 versus $1.52 in 2015. Fiscal 2016 net income from continuing operations totaled $2.67 billion, or $4.58 per diluted share (GAAP), down from $3.32 billion, or $5.25 per diluted share, in 2015. Full-year adjusted EPS was $5.01, compared with $4.69 a year ago. On average, analysts had forecast Target’s adjusted EPS at $1.51 for the 2016 fourth quarter and $5.06 for the full year, according to Thomson Reuters. “Our fourth-quarter results reflect the impact of rapidly changing consumer behavior, which drove very strong digital growth but unexpected softness in our stores,” Target chairman and chief executive officer Brian Cornell said in a statement. For fiscal 2017, Target projects adjusted EPS of $3.80 to $4.20, below Wall Street’s consensus estimate of $5.34 a share. The company also said it expects a low single-digit decline in comp-store sales for the year. Target noted that in its conference call with financial analysts today it will explain its transition to a new financial model for 2017. “At our meeting with the financial community this morning, we will provide detail on the meaningful investments we’re making in our business and financial model, which will position Target for long-term, sustainable growth in this new era in retail,” Cornell stated. “We will accelerate our investments in a smart network of physical and digital assets as well as our exclusive and differentiated assortment, including the launch of more than 12 new brands, representing more than $10 billion of our sales, over the next two years. In addition, we will invest in lower gross margins to ensure we are clearly and competitively priced every day. 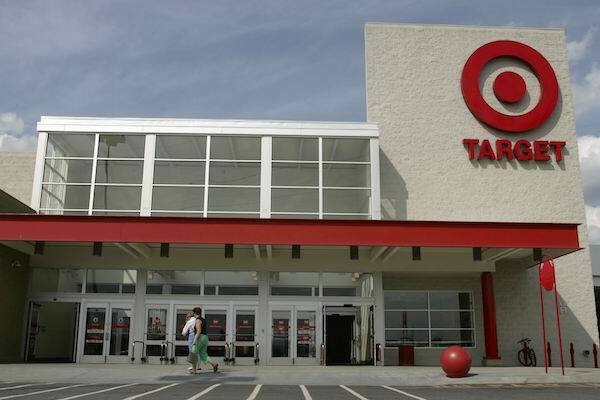 Overall, Minneapolis-based Target operates 1,802 stores.